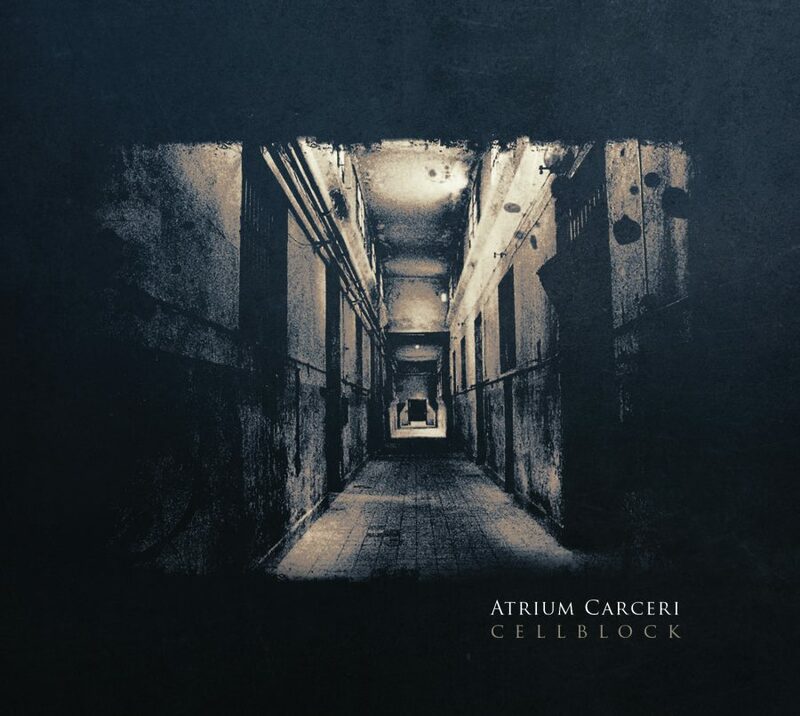 At this point, Atrium Carceri should be a well known name to any fan of dark ambient music. With 10+ albums under the moniker Simon Heath has built a brilliant labyrinth of story-lines, mythos, and protagonists. The Atrium Carceri mythos is one of, if not the most, impressive collections of music within the dark ambient genre. The depth and sheer volume of the material could honestly thrust Atrium Carceri out of the confines of dark ambient music and into some other varied media. With this much information to pick from, it would be absolutely possible to make a series of books or films just based on the information already revealed. Yet, back in 2003 when Cellblock first released, dark ambient wasn’t really even a thing. Or at least, not in name. Referred to by many at the time as “dark wave” it was really hard for fans and reviewers alike to even know how to classify Cellblock. There had been hints of music in the past which touched on the cinematic dark ambient experience, but no one had dedicated a whole album to this particular style. Atrium Carceri, as we now know, wasn’t just an artist writing albums. Atrium Carceri was, and still is, a story, a mythos, a set of gods, protagonists, times, and locations across a devastated and dying planet. The world was being turned on its head. The fabric of reality itself was tearing as gods and men reversed their roles, became one, killed each other off. There are so many questions to ponder when it comes to the Atrium Carceri mythos. Does this take place on Earth, the Earth we know? Maybe. Most likely. It is worth noting that, in Za Frumi, Simon Heath’s earlier endeavor with Simon Kölle, he incorporated vocals in the orc tongue. So taking this into consideration, it becomes more clear that Cellblock must have taken place in Japan and U.S.A. As we can hear dialogues on Cellblock in Japanese and American English. If this were some foreign planet, I have to imagine Simon Heath would have used some other form of communication other than these two well recognized languages. Having answered (or at least attempted) the question of where, we now must ponder the when. This one is much more problematic. I like to think of the when in Cellblock being in the near future, maybe within 50 years or so. There seem to have been structural changes to our cultures and planet hinted at in later albums, but on Cellblock, for the most part, things sound contemporary. Yet, the timeline of this album seems to lie in two separate time-frames. For the majority of the album we witness the environment and mental deterioration of a prison inmate. As we hear on “Crusted Neon” this is taking place in Japan. “Crusted Neon” appears to be a flash-back, a memory of some scene before the protagonist was imprisoned. Yet, 3/4 of the way through the album we reach “Reborn” a track which in name and sound seems to be a literal rebirth. Within the pages of the album the final line of text is “How many do we have to kill before they stop coming back?” This line seems to hint at the presence of reincarnation. Indeed it would seem that the original protagonist has died and has possibly been reincarnated in The United States. Yet, he still has the same thirst for blood, the hunger for murder is ever present. Coming back with his same desires, the reincarnated protagonist has returned to the murder spree which found his former self imprisoned. A detective on “Reborn” gives us an idea of the man’s deeds, saying “She’s been strangled, her throat’s been slashed. There’s jagged wounds running down the left side of her abdomen…”. The idea of the change of landscape and time seems to be compounded by the choice of sounds in the two sections of the album. “Entrance” through “Halls of Steam” seem to be very subterranean, murky, muddled in their sound. They seem to depict the prisoner from his initial entrance to the prison, a time of fear and sad realization. As the album progresses the isolation becomes more and more profound, the mind of the protagonist deteriorates as he lies in his filthy cell, devoid of all contact with the outside world, save for his jailer. On “Reborn” there seems to be a good bit more clarity, the sounds are less murky and more crisp and pristine. This gives a sense of being outside the prison walls. The use of the English in its American dialect helps us realize that we are not in the same country anymore. It is worth noting here, that this final section of the album may be nothing more than a dream, an attempt to live through the dreamworld outside the confines of the prison, in a foreign land. However, this vacation from imprisonment is fleeting. “Red Stains” is a highly suspenseful track, built up by its brilliant handling of the synth arrangement. It feels as if we have followed the detective of the previous track to the scene of the crime. Or is this a second crime? Hard to say, but we do seem to still be on American soil. As the track reaches its close, we hear the sounds of a metal door squealing open and then closed. Is this a sign of entering a second prison? Or, has the original protagonist just been awoken by the sound of his prison cell door opening? Again, it is hard to say. By the final track “Inner Carceri” it seems the murderer has been caught. His reincarnated self is now again imprisoned. The subterranean sounds return, yet it appears to be less muddled than on the previous tracks. This gives a sense of the clarity of the mindset of the prisoner, he has not yet succumbed to the isolation, he still has his wits. The album ends on this note, but we will see in the second Atrium Carceri album, Seishinbyouin that there is still more to be told about the tribulations of the imprisoned. The release of Cellblock was immediately recognized by many to be a genre defining moment. The attention to detail on Cellblock cannot be overstated. The use of field recordings, human voices, synth, piano, and percussion all come together to present a thoroughly intricate and enjoyable album which not only is a delight to the senses but also tells a story. This story is not easily decipherable. I have given my best interpretation here of what I believe has taken place, but for all I know, I’m totally wrong. Simon Heath has been extremely cautious in how much information to give fans about the story-line of Atrium Carceri. Now over a decade after this debut, we are seeing time-lines and more details of the story slowly surfacing. But, back in 2003 the journey was only beginning and the story was anything but clear to the listener. Simon Heath has hinted at some future possibilities for clearly defining the story, but for now it is totally up to the listener to put the puzzle pieces together, as best they can. The mystery is often half the fun, the other half being a line of brilliant albums to feast upon.